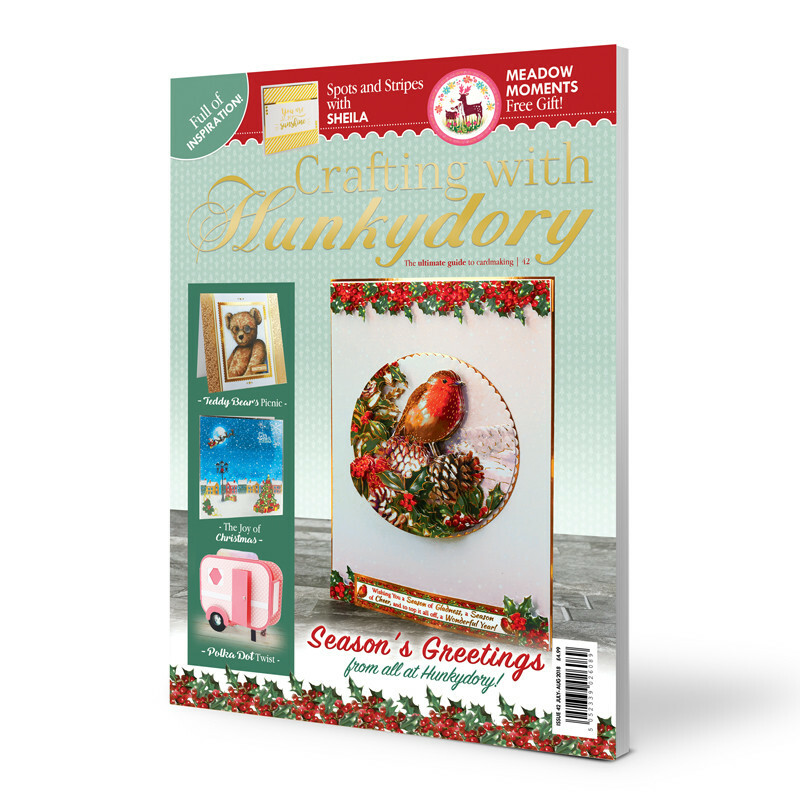 This 84-page bi-monthly magazine includes inspiration for over 80 different projects from a wonderful variety of Hunkydory launches, including the brand new The Joy of Christmas Collection, Season’s Greetings Designer Deco-Large, Adorable Scorable Colour Twist Pretty Polka Dots, Teddy Bear’s Picnic plus the included Sunshine Meadow and All of a Flutter Collections. Inside you will find loads of well-loved features such as the Reader’s Gallery, Sketch Challenge, Your Letters and much more. Crafting with Hunkydory also includes a FREE exclusive Papercraft Kit - Sunshine Meadow worth £4.99. Sunshine Meadow features stylised and quirky imagery of a cute animals and flowers. The Topper Sheets each feature a different colour palette, including pink, blue and yellow, which adds a great deal of versatility to the kit. The artwork of cute animals and flowers are surrounded by different patterns, including polka dots, floral patterns and stripes.